Feast your eyes on these images before Deadpool 2 actually hits the big screen. Deadpool 2 is coming in 12 days, but for us fans, it is perhaps not soon enough. Like its predecessor, the sequel, starring Ryan Reynolds as the wisecracking anti-hero once again, also seems to have gallows humour of the no-holds-barred kind that made the character such a favourite among comic-book readers. It was with Deadpool in 2016 that Fox realised that it was the R-rated cinema that could truly do justice to their X-Men property. It was Deadpool that made possible Logan, the swan song of Hugh Jackman's Wolverine (or maybe not) and arguably one of the best superhero movies ever. Of course, you can expect a lot of violence and choicest cuss words in the sequel, but that's Deadpool - an anti-hero who embraces the ridiculousness of being a mutant. Deadpool 2 promises to be filthier, more violent, and more action-filled thanks to a new team of mutants called X-Force. Feast your eyes on these images before the movie actually hits the big screen. 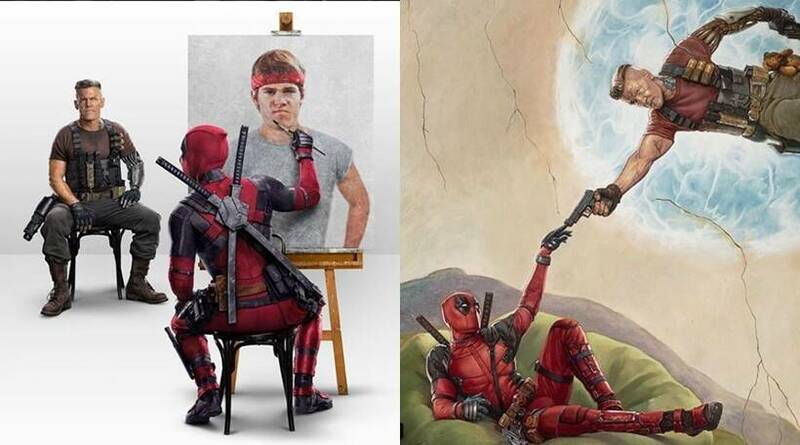 With Deadpool 2 marketing and promotion, it is hard to tell what is genuine and what is spoof. For example, the synopsis of the film. It tells us absolutely nothing about the plot. Or does it? "After surviving a near-fatal bovine attack, a disfigured cafeteria chef (Wade Wilson) struggles to fulfill his dream of becoming Mayberry's hottest bartender while also learning to cope with his lost sense of taste. Searching to regain his spice for life, as well as a flux capacitor, Wade must battle ninjas, the yakuza, and a pack of sexually aggressive canines, as he journeys around the world to discover the importance of family, friendship, and flavor - finding a new taste for adventure and earning the coveted coffee mug title of World's Best Lover." 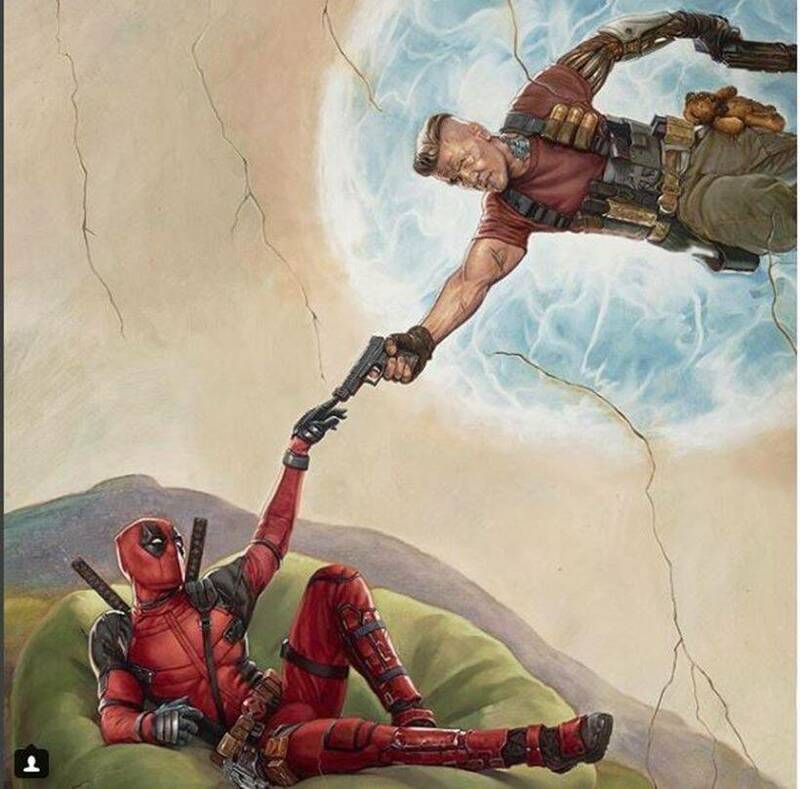 Here is the Merc with a Mouth's take on Florentine Renaissance-era artist Michelangelo’s famous painting The Creation of Adam. 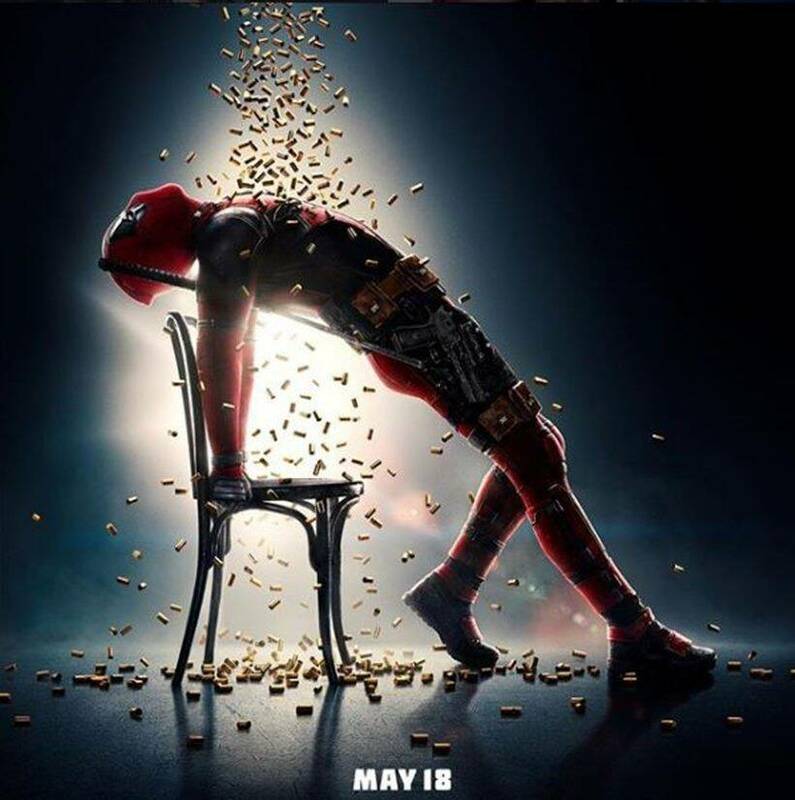 Here is a beautiful poster of Deadpool 2 in which the anti-hero is surrounded by bullets. This poster is a parody of the 1983 film Flashdance. We often forget that he is also a very powerful mutant who can absorb hundreds of bullets thanks to his superhuman healing abilities. 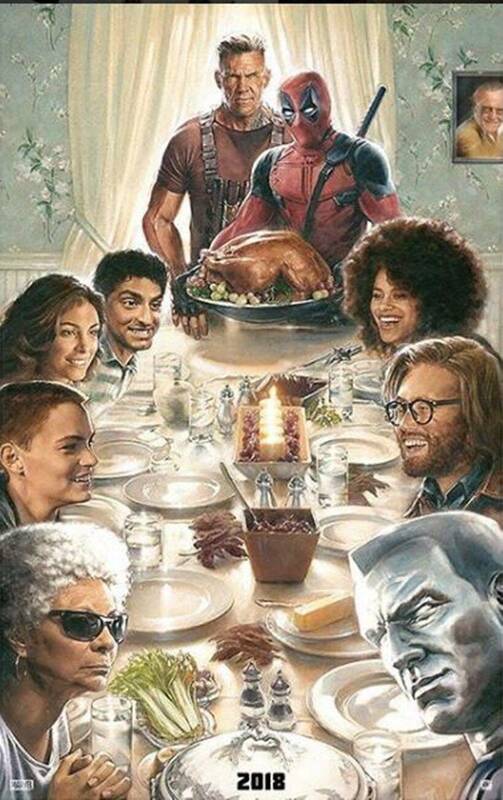 A 'family' dinner with Deadpool and Cable as makeshift parents. The 'children' are rest of the characters: Dopinder, Vanessa, Teenage Negasonic Warhead, Domino, Blind Al, Weasel and Colossus. 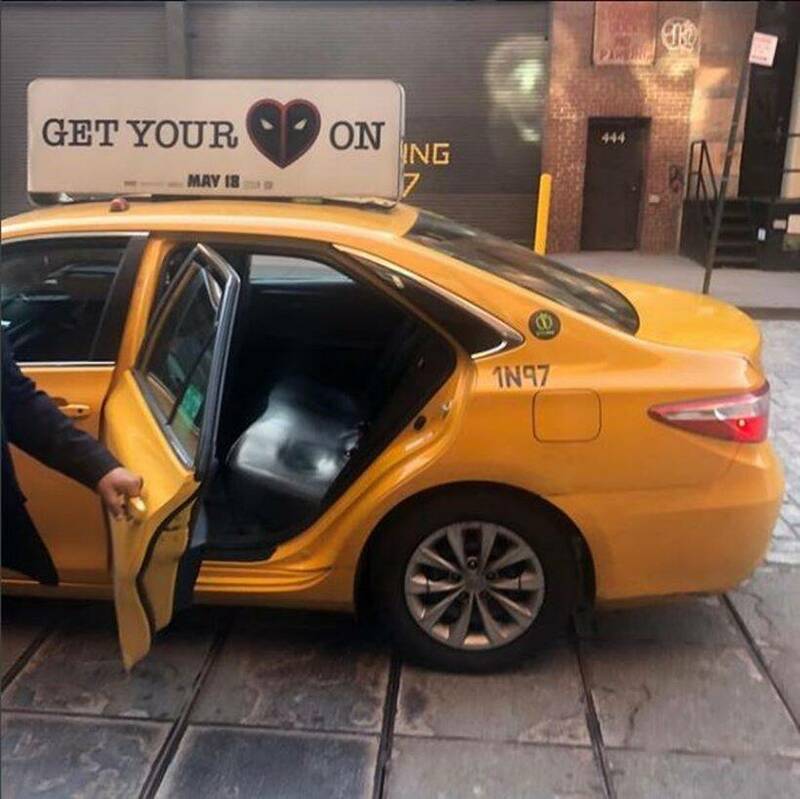 Ryan Reynolds promoted his movie by inviting his fans to get into a car with very visible indentations on its back seat - made by somebody's posterior, we imagine. 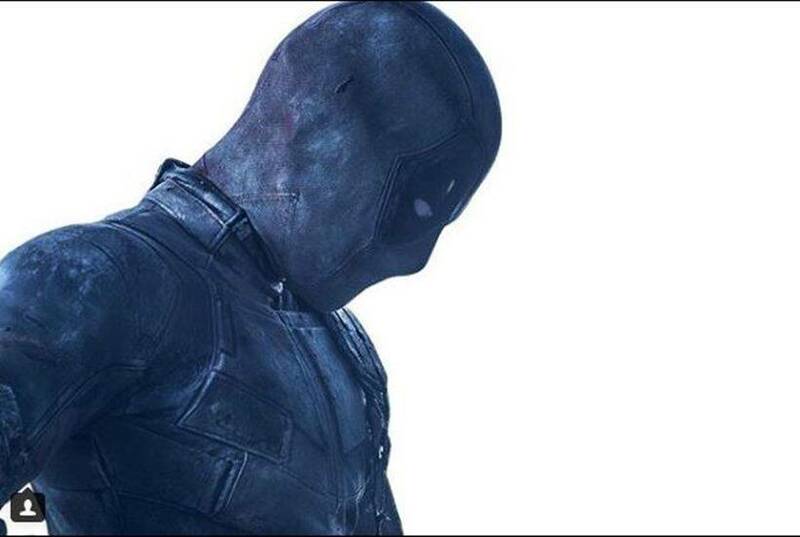 One of the earliest movie images had Domino (Zazie Beetz) lying on the Deadpool costume. Even before becoming Deadpool, Wade Wilson was not your typical nice guy. 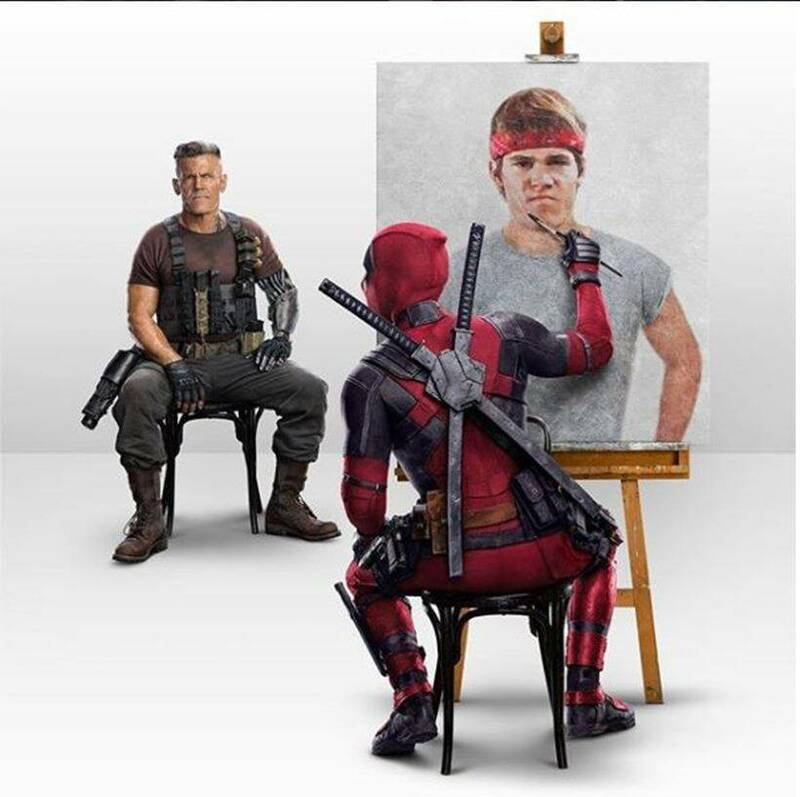 Here, you can see him painting Josh Brolin's Cable as the latter's The Goonies character, Brand.